Our staff can provide more information concerning exposure to environmental “organic” (made by nature) and “inorganic” substances (man-made chemicals or materials) that can result in the direct causation of severe symptoms and / or disease within the human body. 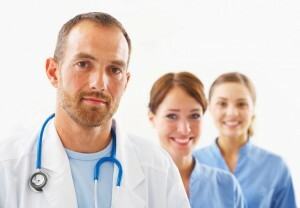 When a patient walks into an emergency room at the hospital, or their primary care physician’s office, the on staff physician makes an immediate evaluation of the condition of that patient based upon the patient’s symptoms at that moment, and prescribes medication, or dismisses whatever the patients complaints are at that time. At National Treatment Centers for Environmental Disease we understand that a patient may have visited multiple health centers, doctors and medical facilities seeking answers and more information. We have found many patients have been turned away for treatment, and told that such things and exposures can not cause illness. We have even had patients that told us that the hospital, or their primary care physician told them that they need to seek psychological counseling. We at National Treatment Centers for Environmental Disease understand that environmental illnesses, such as mold sickness, mold illness and the symptoms of mold exposure are real. We understand the right medical testing, and the correct way to diagnose your exposure.